Sonically it is very musical, you can get very good detail from it. Compared to the very best turntables which I have sold and setup many it’s alittle light in the bass ( not bad though ) and what’s there is very tuneful. Midrange and topend are excellent. Again not quite as detailed as the best. 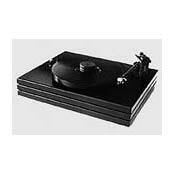 Overall an amazing turntable IF you are a expert in turntable setup and calibrations. Which I am. Build quality is quite high. The speed is rock steady as measured by my strobe. I have a Lyra Parnassus cartridge to try after I spend more time with this table. I clean my records on my nitty gritty 3.5 FI before playing them. The stock arm rest needs to be upgraded and the acrylic platter should be damped. I bought this mint turntable for 650. I drove it to Well Tempered Labs in Saco, ME. I had the tonearm rewired with Cardas wire and the table and arm recalibrated. I was mightily impressed with the build quality of this table. I got it home and I played some records using my Dynavector DV-20x low output moving coil cartridge. Amazing the detail in the music I am now hearing. I upgraded the clamp to the Reference clamp. I also use the Extremphono mat to damp the acrylic platter. These are true bargains in the audio world. None save my Ariston RD-11s. The Well Tempered Classic is in another league.. Very quiet, natural sounding, does not ador subtract anything from the record. Motor is absolutly vibration free, does not need addl speed control. Can be adjusted to fit any cart. available including being able to adjust the damping on the arm. Because of the adjustability of this table it may take time to set up properly. This was a long time coming and after some sorting out of phono stages and cartriges I can thing of no other table I would have. This table just makes sense. This is by far the only table I have heard that does not color the music in any way. It is amazing how different every album sounds. My Cd playback system I thought was good and it is but I am amazed at how the more solid the imaging is with analog. Even sitting outside the sweet spot there is a better sense of depth and much better image width. I will report back after I put some time in. None really in this class. Studio Master tape reproduction. Black background, incredible imaging, etc., etc. Not enough free time in a day to listen to it. This is a review of the latest "version V" Classic. Simply put, this table has a magical way of repoducing vinyl records. The sound is alive and organic. Incredible dynamics, imaging that is "holographic", deep subterranean bass, the list goes on & on. It never ceases to amaze me and my audiophile (& non audiophile) friends alike that there can be THIS much information still lurking in a vinyl record. Until the recent purchase of the awesome Audio Aero "Capitole 24/192" CD player, my CD playback was ALWAYS playing "catch up" with this amazing turntable. It plays the best records with the continueness and lif-like dynamic shadings of the original event. The trumpet "blasts" from the M&K direct-to-disc recording of "A Tribute to Duke", Duke Ellington's band, makes EVERYONE literally JUMP the first time they hear it. "...the guy's in the frickin' room playing!!..." This is the last turntable I will ever own or need. Silver Audio "Hyacinth" XLR intrc. Shakti "Stones" and "On lines"
Alpha Core ""Triode Quartz" XLR intrc. I recently purchased the Well Tempered Classic Turntable and I find it to be a real stunner. Coupled with the Benz Micro MO .9 Cartridge, this is a killer table at the price. I have heard the VPI Aries / JMW combo and the newest additions to the Basis line and I think this one beats them hands down in terms of midrange transparency. The bass is tight, not overblown or euphonic as some tables are prone to do. I bought the unit with the Benz Glider, then heard it with the MO.9 and quickly made the upgrade. The Glider is good, but you really need to get into a $1000 or more cartridge to do justice to this table. Musically involving with great soundstaging. I recommend the unit if you can get over the unusual tonearm design. This is tough to do at first, but you just can't get enough of the same qualities in other table designs in this price range, so you just have to ignore the arm style. I bought the second-handed Well-tempered table for only US$400. After setting up my AT-OC9 cartridge and before listening for the first time. I did not expect that it would perform better than my Linn LP-12 Lingo. looking after my 3000 pcs of LP for the past 6 months. I have been using this table for about 4 years now. Compared to other tables that I have listend to and played with, this table is relatively each to use and setup. The arm's design is very unique and effective, although it doesn't offer the ultimate in terms of precision, it tracks quite well and parameters such as VTA and azimuth are easily adjustable. The table's lack of damping could be a liability in some systems and perhaps it is the reason why the table is "well-tempered", only capable of delivering "good" dynamic range, not quite in the same league as the best from VPI, Basis, and Walker. The table's virtue is its musicality and clear midrange. With the addition of a Townsend Seismic Sink, the table gets a significant improvement in dynamic range. The stock arm-rest can do serious damage to the sound quality and I wonder why the Classic doesn't have the same arm-rest as the Reference version? I just bought a 5 year old one used and am also using the OC 9 cartridge with it-what a wonderful combination! Even my wife (usually just a casual listener) noticed the difference immediately. The combination with female voice gives us goosebumps. What a steal-I paid 250 for the turntable and another 200 for the cartridge and it blows away any CD player I've ever heard. My friends can't believe both how good LPs can actually sound on my system and how funky the tonearm looks. My brother didn't believe it when he saw the "fishing line" holding up the arm. This thing is so easy to adjust, I think it spoiled me for any other arm! Oh well, gotta go. Time to re-acquaint myself with more of my too-long neglected albums. I recently purchased a used Well Tempered Classic Record Player and installed a new Grado Prestige Blue cartidge on it ( I was told that this was a "too chip" cartidge for the table, but, for now this is it) I'm plannig to upgrade to a Reference Platinum later. To make the story short, when comparing an LP version of Billy Joel live in Russia to ther same in CD even my wife who does not care about this type of comparison asked if she was hearing it correctly ( The turntable sounds better). This is very good table. Like they say in the magazines " Highly Recomended". Musicality and exceptional decay of notes and most realistic portrayal of vocals ever heard. Used Rock turntable as reference for 10 years , then heard WTClassic.Most accurate rendering of Sheffield Labs Drum Test Record I've heard.On initial hearing sounds slow compared to other decks but quickly realise the use of bearing less arm ensures deck has VAST amounts of time to deal with all the musical strands.I knew the Rock was dynamic but nowhere near as good as WTClassic.Mine is pre 1995 with seperate motor housing which slides in to plinth from side and an audio engineer has designed a power supply which elevates the deck even further.THIS DECK IS THE LAST ONE I WILL EVER OWN.The sheer weight and authority is tremendous , and the bass whilst not as powerful as the Rock , is much easier to follow and more detailed ( Rock bass I now believe to be inaccurate , too heavily over damped ).All other decks are far too fast (listen to live music and you will understand ).Has to be heard to be believed. Just need good support for deck - Any recommendations ?